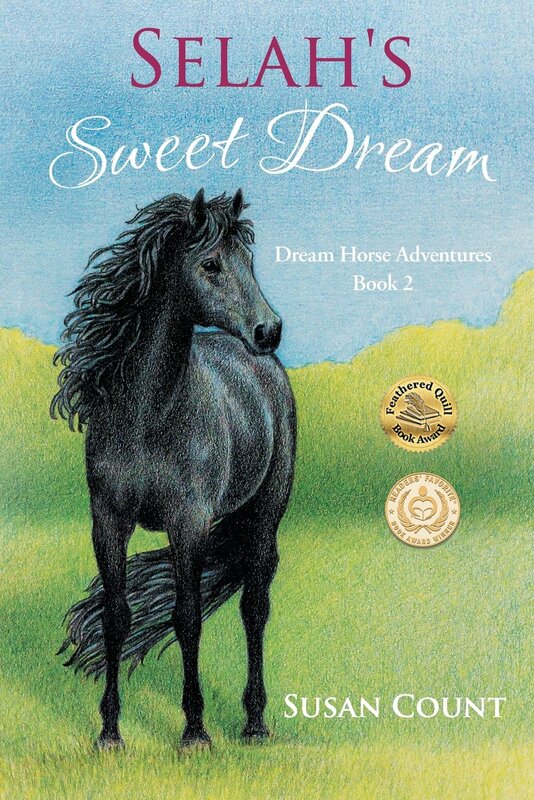 ​BeachBoundBooks is pleased to be coordinating a Book Blast for the children's book series Dream Horse Adventures written by Susan Count. The blast will run February 7 - 9, 2017. Book Description: Mary’s heart breaks over the pending destruction of a beautiful, but damaged filly. When life is not fair, the courageous challenge the obstacles. Twelve-year-old Mary was disabled at the age of four by the same virus that took the life of her mother. While she longs to have a horse of her own, she’s limited to reading horse books. A talented artist, she spends her days on a blanket in the grass sketching the horses at the farm next door. She falls in love with one of the foals and is outraged to learn the filly is considered worthless as it was born lame. Mary befriends and enlists the help of twelve-year-old Laura, whose family owns the horse farm. Against the better judgment of the farm manager, a brief reprieve is negotiated for the foal’s life. The girls conspire to raise money to save her, but time is running out. Sadly, it appears the expensive surgery the foal needs has little chance to correct her problem anyway. Mary isn’t about to give up. She sacrifices what she holds dear, including the trust of her papa, to gain her heart’s desire. Will she lose everything in her struggle to save the foal? 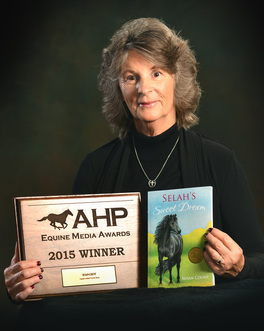 Book Description: American Horse Publications - FIRST PLACE - Equine Fiction..... Feathered Quill - GOLD Award..... Readers Favorites - GOLD Award..... Twelve-Year-Old SELAH (Say-la) aspires to be an equestrian superstar. That would require a horse. HER DILEMMA: Grandpa wants nothing to do with horses. THEN: Selah sees buzzards circling the grasslands behind Grandpa’s farm. They are stalking a horse trapped in wire and Selah is its only hope. 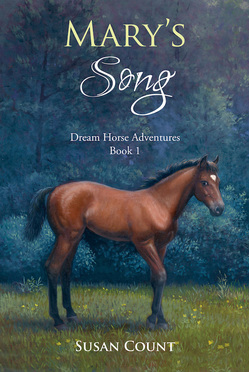 DANGEROUS: The horse is wild and defiant - jeopardizing Selah’s dreams. FOILED: The legal owner searched for the horse for two years and wants it back. BUT: Selah is confident that God will provide her heart’s desire. MEMORIES: Grandpa shows Selah a video, from long ago, of a phenomenal equestrian. Selah declares that she wants to be like her and Grandpa explains the rider was her grandmother. HOPE: A world renowned horse trainer offers to train SweetDream and Selah. FOILED AGAIN: Her parents could ruin everything unless Sweet Dream’s unruly behavior ruins it first. LOST: Selah’s opportunity to mirror the equestrian talent of her renowned grandmother evaporates when the horse causes mayhem at the trainer’s facility. NEVER GIVE UP: Will Selah gather her courage and face up to the trainer to save her aspirations? One day...I began to write with no preconceived ideas about anything. I’d read what I had written the day before and add another scene to the adventure. No one could have been more astounded than I was when it turned into a book. The whole process gave me great joy and restored my spirit after a season of loss. My motivation was my desire to bless one particular young lady with a story to show her a love relationship in a family, with the Lord, and with a horse. I truly thought the story would remain in a drawer until she was old enough to read it. Surprise. I write at an antique secretary desk which belonged to the same grandmother who introduced me to horse books. The desk has secret compartments and occupies a glass room with a forest view. Bunnies and cardinals regularly interrupt my muse, as do my horses grazing in a clearing. Though I am a rider and lover of horses, I make no claims of expertise in any riding discipline. I hope that my research keeps me from annoying those who would know. The only thing more fun than riding might be writing horse adventure stories. Saddle up and ride along! How to enter: Please enter using the Rafflecopter widget below. Terms and Conditions: NO PURCHASE NECESSARY TO ENTER OR WIN. VOID WHERE PROHIBITED BY LAW. A winner will be randomly drawn through the Rafflecopter widget and will be contacted by email within 48 hours after the giveaway ends. The winner will then have 72 hours to respond. If the winner does not respond within 72 hours, a new draw will take place for a new winner. Odds of winning will vary depending on the number of eligible entries received. This contest is in no way sponsored, endorsed or administered by, or associated with Facebook. This giveaway is hosted and managed by Stacie from BeachBoundBooks. If you have any additional questions feel free to send an email to stacie@BeachBoundBooks.com.